One of the most beautiful islands in the Caribbean Ocean is Saint Lucia. he tiny village of Soufrière, Saint Lucia. Saint Lucia is considered part of the Windward Islands and gets its name from the French who named it after St. Lucy of Syracuse. The first inhabitants were the Native American Arawaks. 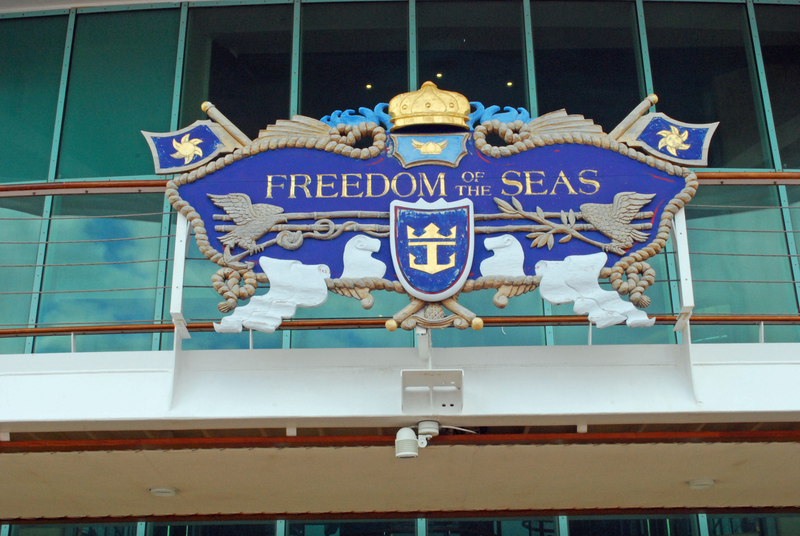 The newly refurbished Freedom of the Seas is the latest addition to the Royal Caribbean Cruise Lines fleet. 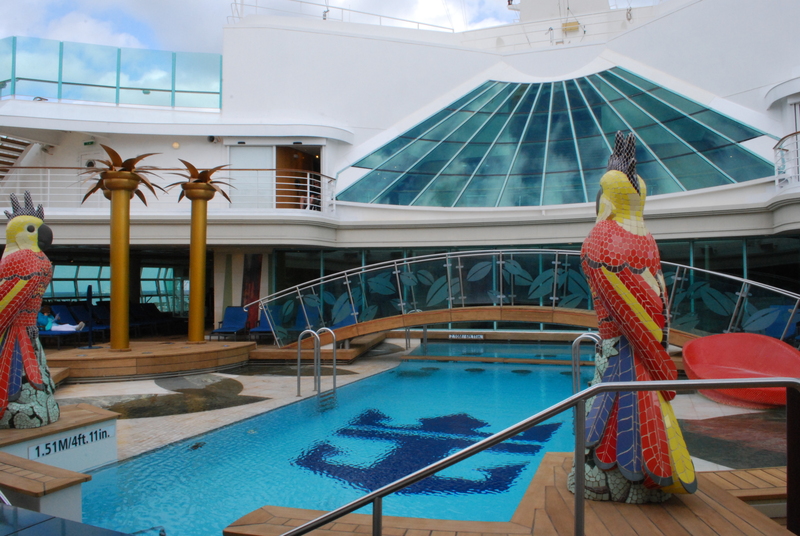 It can accommodate 3634 passengers with a crew of 1300, it was the largest cruise ship afloat from 2006 until 2009 when teh Oasis of the Seas was launched. Built in Finland it weighs in at 154,407 gross tonnage , it measures 1,112 feet long and 126 feet wide. 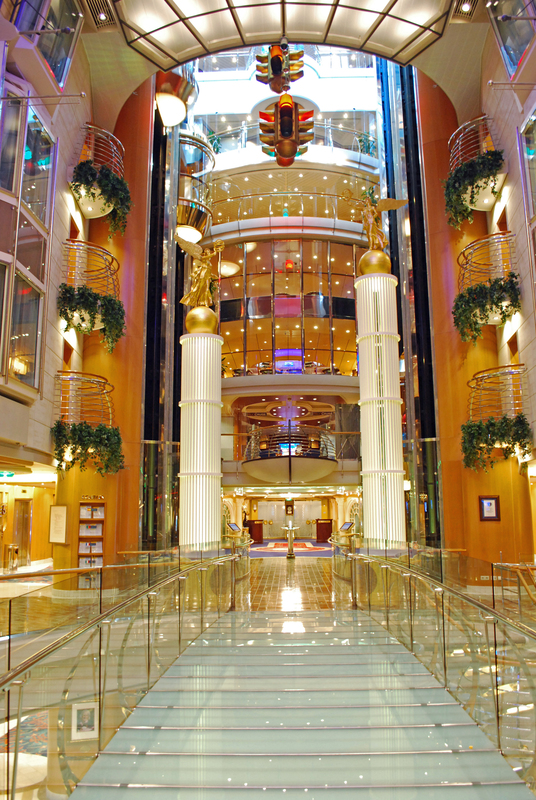 With 18 decks it measures 209 feet high. It consumes 28,000 pounds of fuel per hour. According to my calculations, that’s 3,500 gallons. 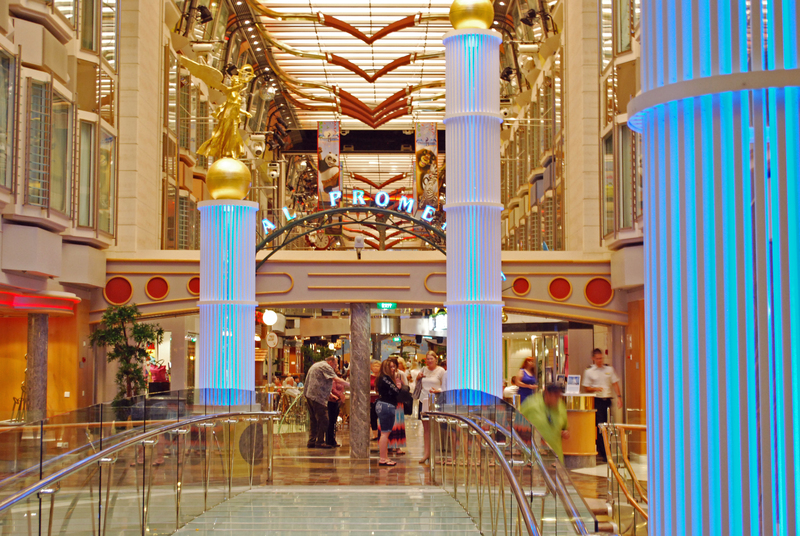 The ship has an interior promenade 445 feet (136 m) long called the “Royal Promenade”, which features a coffee shop, Sorrento’s Pizzeria, the Ben and Jerry’s ice-cream shop, Vintages wine and tapas bar, the Bull and Bear Irish Pub, and many duty free shops.The Royal Promenade, first seen on Royal Caribbean’s Voyager-Class in 1999, extends through the upper decks of the ships. 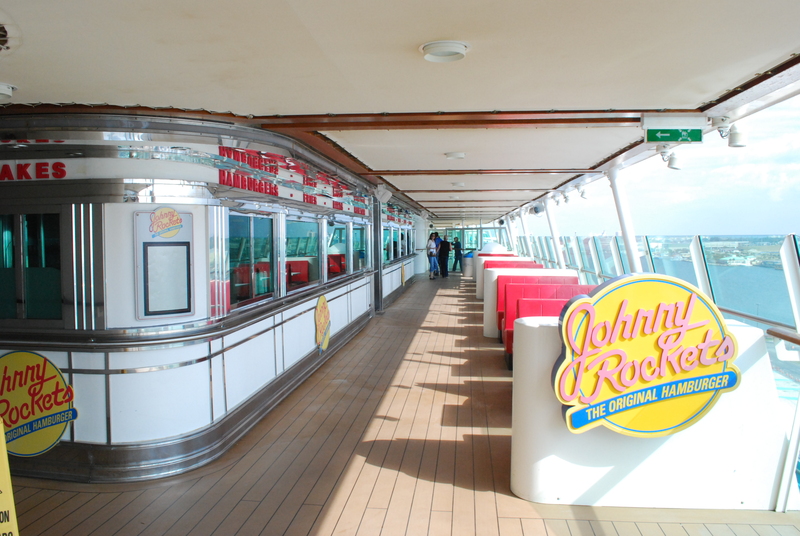 This gives most upper level cabins a window, either to the port or starboard side or inwards to the promenade. 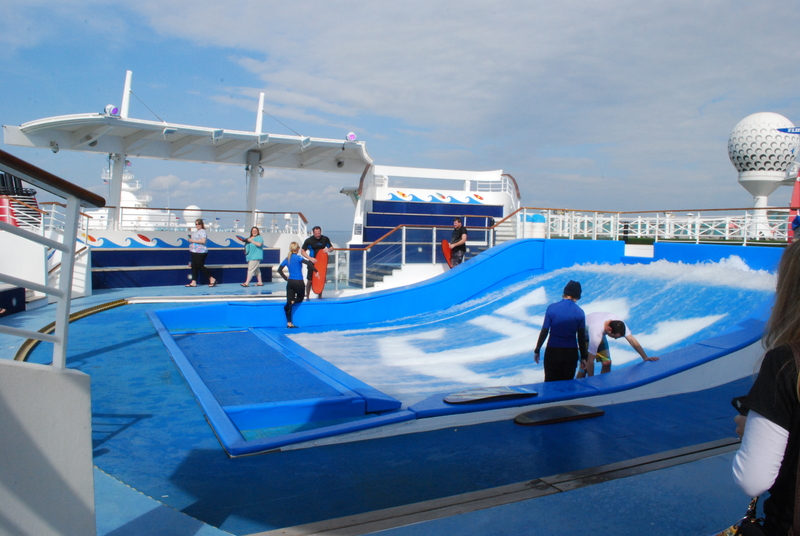 The ship has three swimming areas: an interactive water park, a dedicated adult pool, and the main pool. 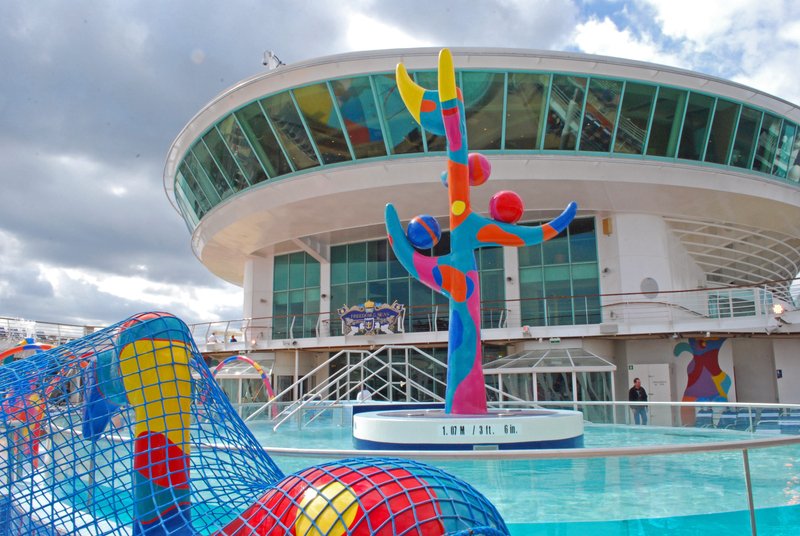 The 13th deck has a sports area with a rock climbing wall wall, the Flow rider surf simulator, a miniature golf course and a full size basketball court. 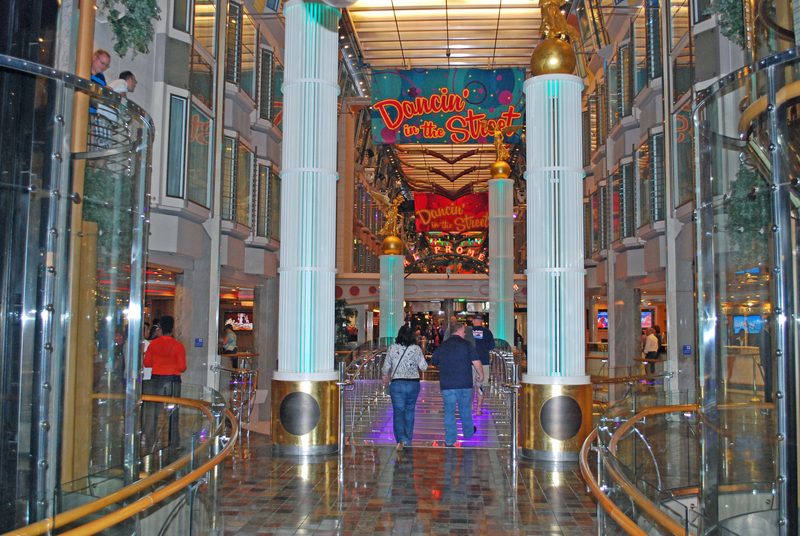 Other items include an ice skating rink rink, a casino, a Johnny Rockets restaurant, and a three-deck-high broadway-style theater. 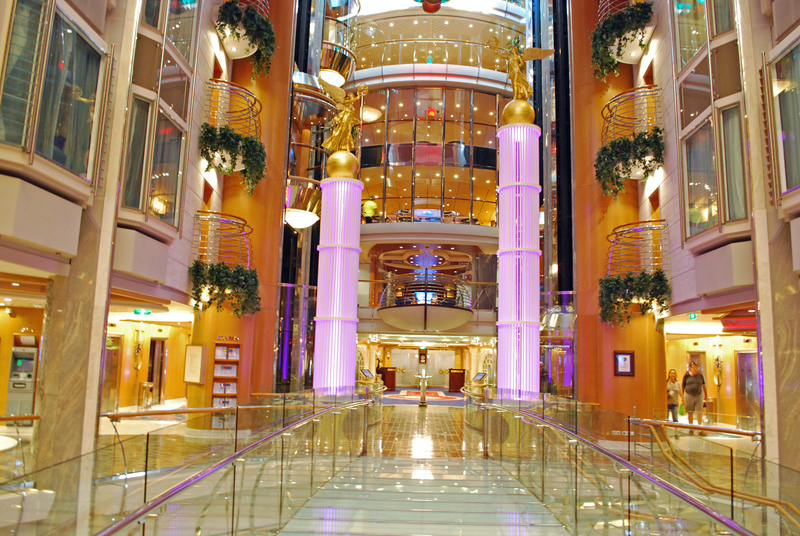 Technology amenities include wifi capabilities throughout the ship, interactive televisions in all staterooms, and cell phone connectivity. 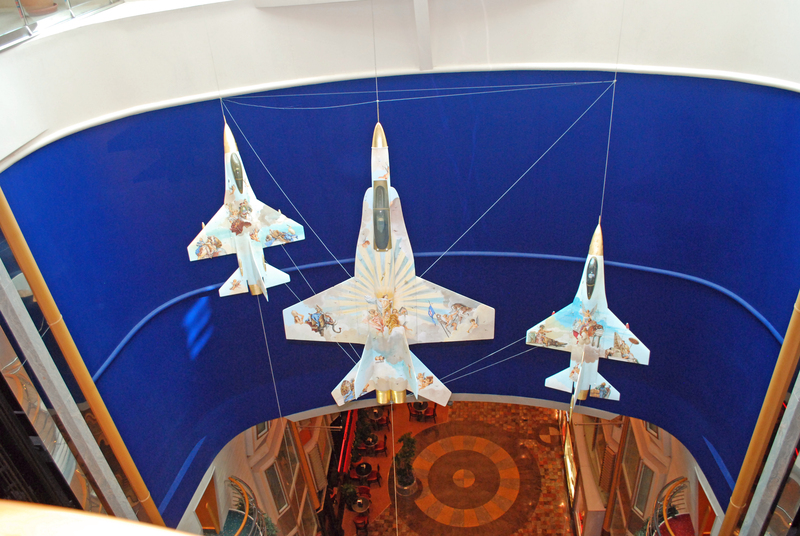 Many of the ship’s interiors were extensively decorated by muralist Clarissa Parish. 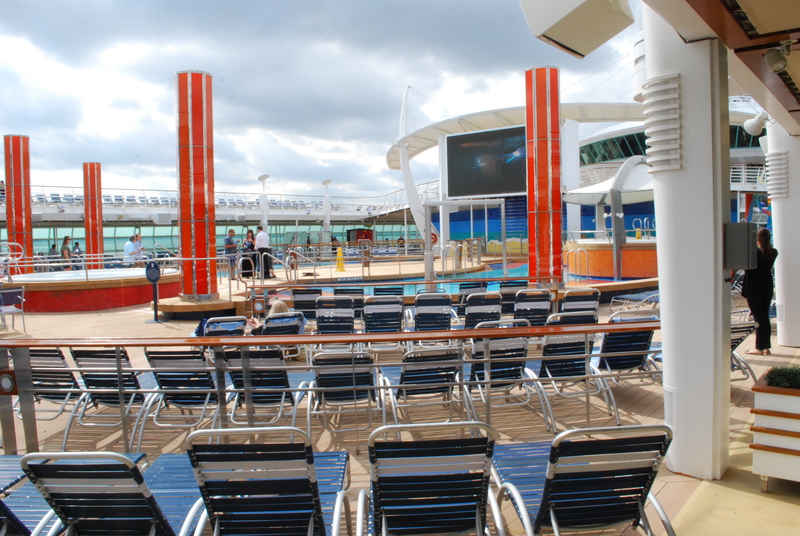 We had the opportunity to spend a complimentary two day travel agent get acquainted cruise . Turns out that wasn’t nearly enough time to fully enjoy every amenity the ship has to offer. 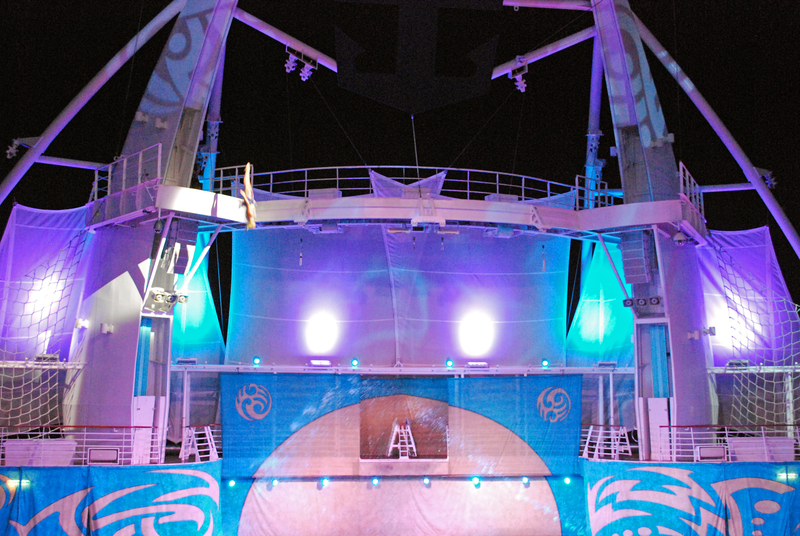 Joining the fleet , The Allure of the Seas is the largest cruise ship to sail the seven seas.Boasting every imaginable choice of entertainment on board, including a zip line and ice skating, the interior is something to be admired. 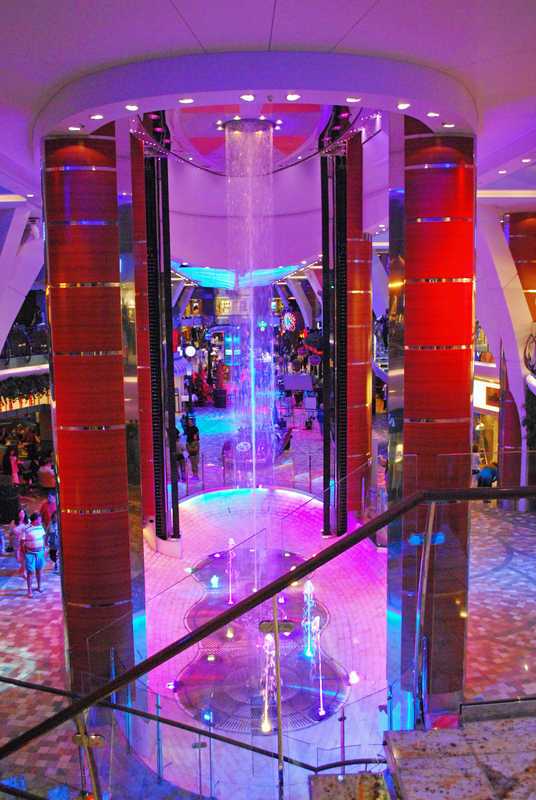 The rear of the ship, featuring a dance floor and water show. How often have you heard someone say that is almost impossible to get quality photographs while on a cruise, sightseeing with thousands of other tourists? The general consensus of opinion is that when cruising too much time is spent on board the ship and not enough quality time is spent in port and the time spent is not the most optimum time to photograph. Even when traveling on land with a photo group, I have encountered days when we traveled all day and only managed to be able to shoot for maybe a half an hour. Even under the most idea circumstances a great deal of time can be spent traveling and positioning for that perfect shot. While it is true most ships not only arrive in port well after sunrise but leave just as the sun is setting over the western horizon, the best times to photograph, this fact should not discourage you from getting good quality images .While you may not be in port during the times when the lighting would be the best,there are still plenty of opportunities to get excellent photos of the places and people you encounter. Several ports now offer exclusive photo tours where photography and getting quality images is now the main concern. However ,if this kind of tour is not available, do not despair, there is still hope. The first objective is to go on a tour that advertises itself as the “best of” where ever it is you are, this always includes some great observation sites to photograph the best scenics available. 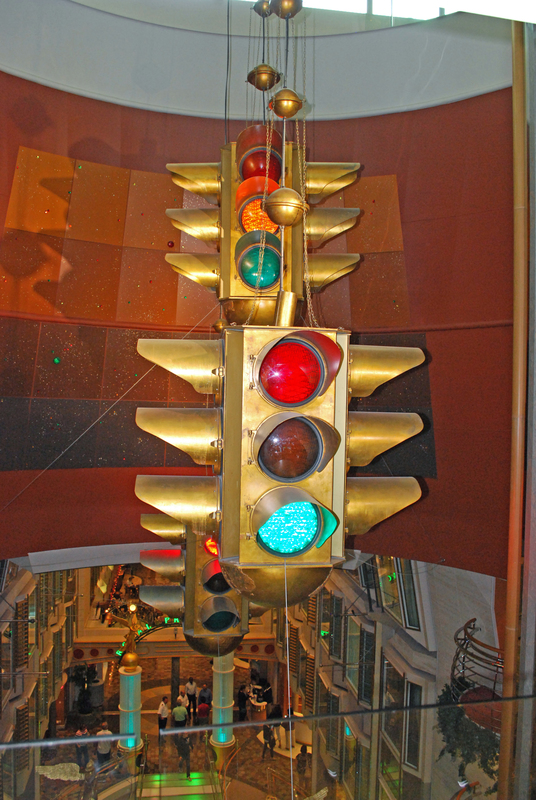 Once there, take advantage of whatever ingenious and neglected points of view over looked by the ordinary tourist. Sometimes just walking a short distance from the rest of the group will lend itself to a fantastic and neglected vantage point. When visiting a relatively safe destination, charter a private van, taking a few like minded people with you. Once people learn that a photo tour lends itself to finding quality spots most visitors never see, you won’t have any problem finding tag alongs to help make your trip safer and more enjoyable. 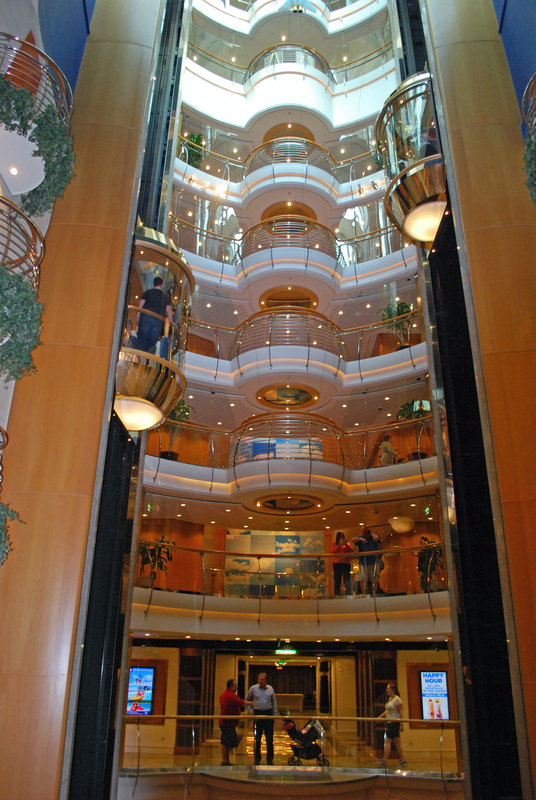 Just keep in mind that going on a nonship sponsored tour means the ship won’t wait on you if you are late, so make double sure you are back in time for the sailing, or you will be getting some nice images of the airport while on you way to your next port of call. As most of us, you will be traveling with your wife or significant other who probably could care less about those priceless images you are recording. Their main objective will be to find the unforgettable bargain that no one else have ever found in some exotic port. Just tag along and be supportive and appear highly interested, then at the last moment as your lovely wife is about to make the purchase of the century, duck out the door. This is your golden opportunity, go for it! There are always great photo ops in every port I’ve ever been in , check out the old man sitting on the curb, how about the man sitting in the door way of a store? Maybe there are children playing in the street, or some old building with a unique design or door, maybe an interesting window or church. How about an interesting angle no one has ever seen. The opportunities are endless. suitcase. You’ll need it all. Saint Thomas is an island in the Caribbean Sea. an unincorporated territory of the United States. 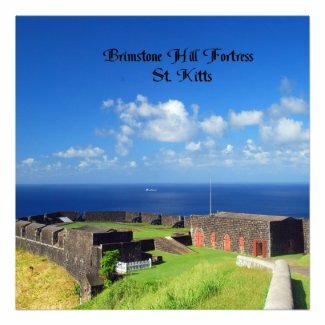 Located on the island is the capital of Charlotte Amalie, the capital and port of St. Thomas. Many visitors come here to enjoy the fine duty free shopping, however there are many other reasons to visit this beautiful Island. Megan’s Bay is one of the most beautiful beaches any where,a perfect place to spend the day. After enjoying a day at the beach, a perfect stopover on the way back to your cruise ship is Blackbeard’s Castle. A nice pool awaits and after that it is just a short walk back to the shopping area. Gary is a travel writer and photographer living in Sarasota,Florida. He has a website featuring more photos and articles and also markets products featuring some of his travel photos. One of the more pleasant experiences one has while cruising is returning to the cabin to see what kind of animal the cabin steward has made out of the towel. It seems as though the cabin Steward never runs out of new ideas. This particular design was made during a Caribbean cruise.